Launch Screen. The Launch Screen is a jumping off point to all AMTFAR content. Topic Display. 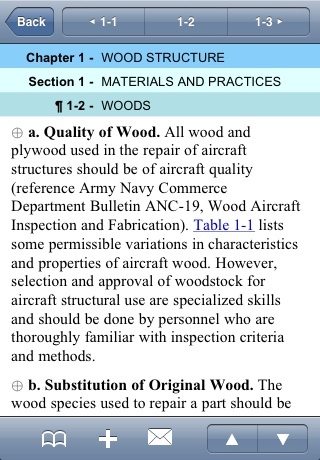 AMTFAR includes all figures and tables, and formats all content nicely for the iPhone screen. Search. Seach for words or terms in any of the included content. Search Results. Search terms are highlighted in the search results. Advisory Circulars. AMTFAR includes several common ACs referenced by AMTs. All searchable. 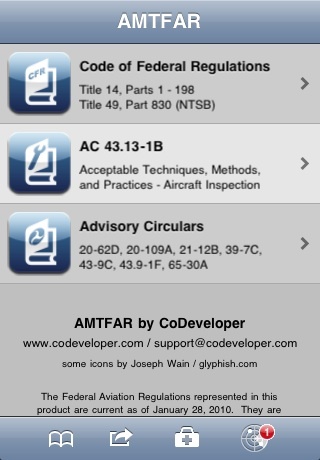 AMTFAR is the premier Aviation Maintenance Technician reference app for the iPhone and iPod Touch. 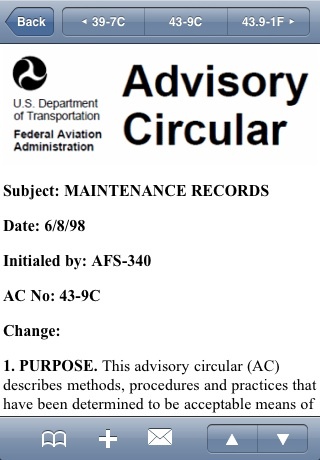 AMTFAR includes more than just the FARs - it also includes a plethora of Advisory Circulars, including the entire AC 43.13-1B - Acceptable Techniques, Methods, and Practices - Aircraft Inspection and Repair. AMTFAR is built on the same platform as our popular PilotFAR/AIM series of applications. All of the same great features like searching, bookmarks, and cross-reference hyperlinks are all included. Check out our plethora of reviews for PilotFAR and PilotAIM - they’re all from real pilots, students, and instructors who use our products every day. 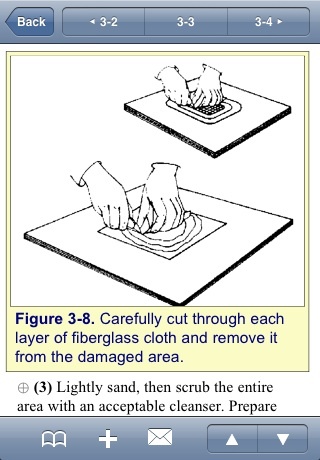 AMTFAR includes all illustrations and tables associated with the content. Content Formatting All topics are specially formatted for the iPhone / iPod Touch screen and include all text and graphics. PilotFAR is the ONLY FAR product that presents regulations with nice indenting to make reading easier. Full Text Search Find what you need - instantly! Search by individual words or phrases. Find terms that are "near" eachother. Find topics containing one term while NOT containing another. Easy Navigation The product is designed for fast, easy navigation. 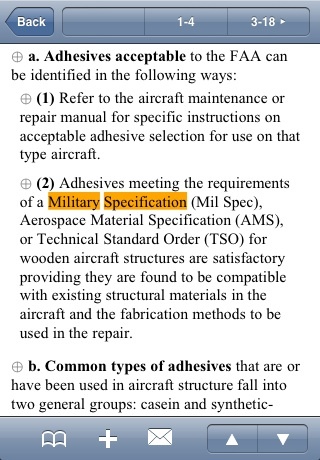 Quickly scroll to the chapter/part you need using the side-index. Move from regulation to regulation using next / previous buttons. Scroll through topics with a flick of your finger. 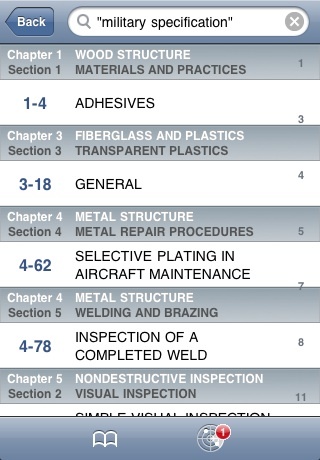 Favorites Customize which CFR Parts you want accessible in your Table of Contents. This allows you to optimize the way you access the regulations you need, while hiding the regulations you dont need to see. Bookmarks Bookmark your frequently accessed CFR and AC topics for quick access later. If you have a lot of bookmarks you can organize them into folders, just like in Mobile Safari.